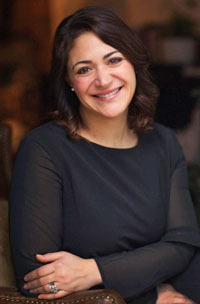 Angie Mahoney, M.Ed., is currently a special education case manager at Rogers Park Middle School in Danbury, Connecticut. Angie has worked with students of all ages in a variety of settings for the past thirteen years. Her career includes a tenure at a private school where she worked with over seventy-five middle school and high school-aged students on a weekly basis, running an inclusion-based elementary program for students with autism, as well as co-teaching core academic classes as part of a team comprised of fellow middle school educators. When I began teaching in 2001, I had just graduated college with a degree in Intensive Needs Special Education from Lesley University. I was truly excited to begin my teaching career and thrilled to accept my first teaching job as a Pre Vocational Teacher at Cotting School, a private, nonprofit school in Lexington, Massachusetts. I knew that Cotting School offered a unique opportunity for growth and knowledge, all the more so given the exceptional group of students and staff with whom I would work. I could not wait to begin. I led a program through which I would see ten different groups of students, ranging from ten to twenty-one years of age, two times a week, for class periods of forty-five minutes each. My role was to teach them prevocational skills in the classroom setting. When the first month of school began, I quickly realized that in order for each and every one of my students to succeed vocationally, I needed to problem solve and plan a strong program to meet the many needs of the students. The program in place at the Cotting School offered a small range of prevocational activities with little organization of materials, few modifications, and limited tracking of student progress. I struggled to connect the existing prevocational activities (such as sorting colored rubber bands) to real-world job environments and sought to make each activity meaningful versus the "routine" of mere task completion. I found myself wondering, how I could make each and every student feel both challenged and successful while learning crucial skills for their future? I began to look around my new classroom and truly explore the possibilities. I spied an array of materials one would find in an office setting: pencils, staplers, paper, paperclips, etc. That got me really thinking not just about the current age of my students but also more towards the time they would graduate. What jobs would they apply for Where would they hope to volunteer? I literally pictured the stores and job opportunities in the surrounding town, and it all started to connect. As I wrote out my list of places of employment (e.g., offices, grocery stores, florists, farms, retail stores), I started to see a pattern that then transformed into the I Can Work! modules: Clerical, Retail, Food Service, and Grocery. Creating a range of modules allowed me to focus on each vocational area one at a time and determine which jobs fell under each category. I wanted to know for certain that every student, with Ns or her individual challenges, would have access to each area of specialization and all that it had to offer for prevocational learning. I began breaking each unit into time frames and allowing each activity to connect and build on one another, as a slow progression geared specifically for each student, I also began looking beyond the physical jobs and deeply into the communications, routines, and the aspects of working in a job environment. I knew that introducing and practicing a range of problem-solving occasions would highly benefit a number of students and enable each one to perform confidently when placed in a range of these situations. These thoughts sparked the lesson plan development. When researching lessons based on communication in the work place, I found information that was helpful for me as an educator but not practical for me to use in the classroom. I was spending countless hours rewriting questions at a comprehension level that worked be for my population, as well as adding visual supports to assist my non-readers. Based on this work, I created two formats for each lesson; one format of text-only worksheets and a second format of picture-supported text. Each format covered identical material and, therefore, enabled the lesson to meet the needs of the exceptional learning styles one typically finds in small groups. The resulting versatility of the formats deeply satisfied my sense of how education should work. During my first two years at Cotting School, the curriculum grew, and the students' progression began to show. As with any curriculum, it was a work in progress. I spent that next year following a structured plan with motivational techniques, self-reflection opportunities, and a wide range of asks and lessons, all connecting and building toward a unified whole. Additionally, I teamed up with the occupational, speech, and language professionals currently working with the same population of students and discussed the specific needs of each student's Individualized Education Plan (IEP). We realized we could effectively cross-educate many students while teaching them skills needed for their success as young adults. Our excitement grew, and before I knew it, a program called the "Work Skills Center" was developed and embraced by an amazing community of educators, therapists, parents, and, most of all, the students at Cotting School. In the year of 2006-2007, I began another chapter in my life by serving in a public elementary school as an educator in a program for students with autism. The public school served grades K through five and followed a different programming model than I encountered in the private setting; the focus was on inclusion. After a few months of working with an amazing team of teachers and therapists and watching remarkable young children grow, I began to think about the children's vocational needs. I had always worked with young adults in the past but realized that it is never too early to start teaching prevocational skills to children with special needs. I quickly assembled a small work area and began I Can Work! Over the course of two years, I integrated my prevocational curriculum into this elementary school setting. As the program demonstrated success for a wide range of students, I felt a strong affirmation of my strategies to help special needs students feel passion for the work and confidence in their ability to succeed for the rest of their lives. I know this program can reach and empower many educators and therapists, and I look forward to sharing it with as many people interested in experiencing the feeling of success with their group of exceptional learners.